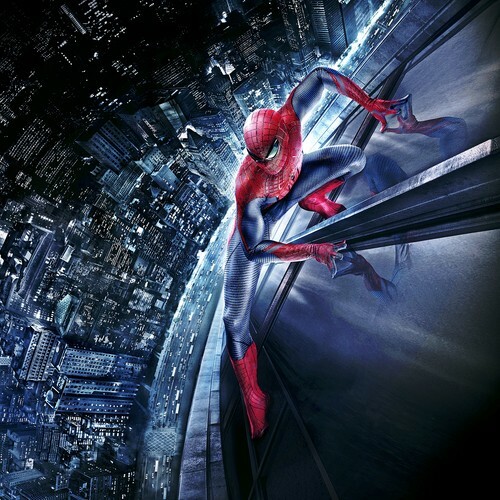 Spider-Man Posters - The Amazing Spider-Man. Poster of "The Amazing Spider-Man" (2012). HD Wallpaper and background images in the Spider-Man club tagged: spider-man spider-man posters the amazing spider-man peter parker. This Spider-Man photo might contain automóvel, carro, auto, suv, caminhão, glory hole, lazaretto, glória buraco, lazareto, rua, cena da cidade, ajuste urbano, cenário urbano, cena de rua, cidade, and urbana definindo.